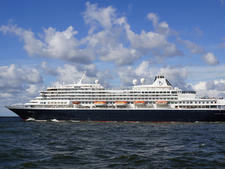 First thing's first: Plenty of features onboard Holland America's Oosterdam might elicit an "ooh" along with an "aah," but the name of the ship is pronounced OH-sterdam. The pronunciation is just about the only thing that remains Dutch about the ship, as the line has done away with Royal Dutch High Tea and, rather than a Dutch cafe, the ship sports a modern coffee bar. 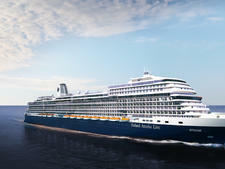 Despite a soft spot for tradition, Holland America is updating its ships to keep up with modern times, and Oosterdam is no exception. With craft cocktails in the Gallery Bar, fresh seafood at Rudi's Sel de Mer pop-up restaurant and the irresistible charisma of B.B. 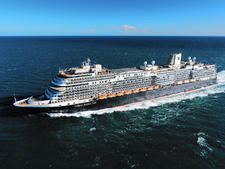 King's Blues Club, Holland America's new touches have breathed fresh life into this ship in exciting ways. 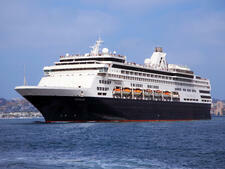 One change that Holland America-loyal cruisers might not be ready for is the removal of Oosterdam's library. This is part of a fleetwide trend that is replacing somewhat stuffy reading rooms by incorporating books, research materials and digital guides into a space called the EXC Lounge (EXC stands for Explorations Central), which is located on Deck 10 in the Crow's Nest. You'll still find crossword puzzles, games and novels, but also a greater focus on the ports and destinations, and what you can see and do there. A high point on this ship is service, which is prompt and consistent. Whether the matter is room repair requests, dietary restrictions in the dining room or mingling with the talent onboard, interactions were positive and genuine. We saw the same smiling faces across different venues depending on the time of day, and we were always remembered and addressed like acquaintances. Little things like having a last-minute spa appointment accommodated or seeing the cruise director ashore, still greeting and interacting with passengers, gave the cruise the carefree vacation feeling that people crave when they board a ship. Unfortunately, one exception was in B.B. King's each night after the final set. The assistant cruise director doing the DJ-ing, refused to take requests and played music that quickly scared everyone off the dance floor. 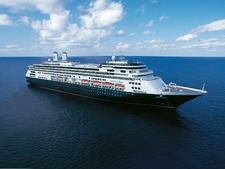 What Holland America chooses to invest in, it succeeds at producing well. A night watching an episode of the documentary series "Planet Earth," accompanied by the Lincoln Center Stage musicians in the main theater is a treat and makes use of the cruise line's partnership with BBC Earth. 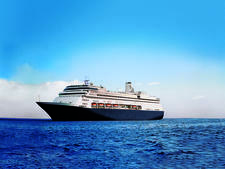 Other partnership-based activities or attractions you might notice around the ship include Oprah's Book Club discussions, cooking classes with America's Test Kitchen and cocktails designed by renowned mixologist Dale DeGroff. These collaborations touch upon dining, entertainment and enrichment -- and, many times, they offer a combination. 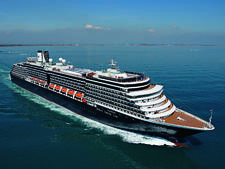 The best part about the changes to Oosterdam, and the Holland America fleet overall, is that the concepts being introduced -- including the Music Walk -- work really well for cruisers who are already fans of the line, as well as first-time passengers. The upgrades are thoughtful and, rather than serve as a temporary jolt of energy to attract attention, the partnerships and enhancements feel more like a natural progression for a notoriously traditional line that's keeping up with the times. In addition to the retiree-age passenger base that Holland America is known for, Caribbean itineraries attract a much larger mix of young couples and families than on other routes. On our sailing to the Bahamas and Dominican Republic, a wedding party noticeably infused the ship with youth and vitality. European itineraries on Oosterdam skew older, except during school holidays in the summer months, when it's more common for families to be seen with children in tow. 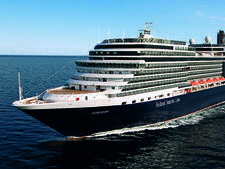 Regardless of the route, Oosterdam primarily attracts a North American audience. Cruise Critic’s professional photographers and our extraordinary community members have taken 2,049 pictures of Holland America Oosterdam. When you visit our photo galleries, you can be assured that what you see is what you get. The dress code is casual, especially on warm-weather sailings. The exception is that T-shirts, swimsuits, tank tops and shorts are not allowed in restaurants or public areas during evening hours -- though we've definitely seen allowances on the shorts and T-shirts rule. At least one "Gala Night" occurs per cruise, on which passengers are required to dress in more formal collared shirts and slacks or dresses/skirts in any main dining or fine dining venue. The buffet is offered as a dining alternative for those who don't wish to dress up. Tips to the dining, housekeeping and behind-the-scenes crew are automatically added to your shipboard account each day in the amount of $14.50 per person for passengers staying in inside, ocean-view or balcony cabins, and $16 per person, per day for suite passengers. An automatic 15 percent gratuity is added to any bar bills or spa treatments. 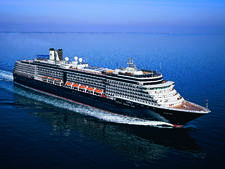 Although it's not a new ship, Holland America's Westerdam continues to do what the line does best -- balance the traditional cruising experience with updated, contemporary amenities. 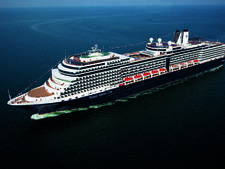 Holland America Line aims to strike a balance between classic and contemporary, and the intimate, 2,000-passenger Noordam, christened in 2006, manages this well. 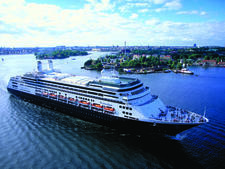 Holland America's stately Maasdam launched in 1994, but has gone through two major refurbishments in 2006 and 2011, adding contemporary features. 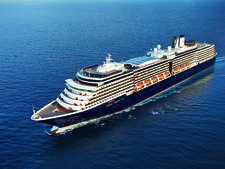 As cruise lines add a dizzying array of features, Zuiderdam maintains Holland America's satisfying and enjoyable, although not particularly surprising, experience at sea. 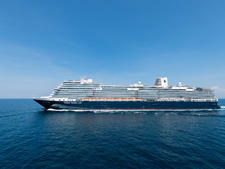 The 1,432-passenger Volendam has had a couple of refurbishments since its 1999 debut, one in 2006 and one in 2011, which saw a ship-wide spruce up. 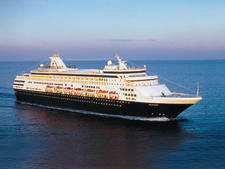 The 1,440-passenger Zaandam debuted in 2000 and has been refitted as part of HAL's "Signature of Excellence" program. 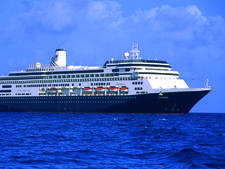 The last of Holland America's Statendam-class ships, Veendam blends a modicum of hipness with the strong traditional flavor that HAL's known for. Upscale; emphasis on music and gourmet dining; highlights are the Culinary Arts Center, Billboard Onboard, Lincoln Center Stage and B.B. King's All-Stars Band; holds about 2,650. Launched in 1997, Rotterdam VI is a throwback to earlier cruise ships compared to most megaships built after 1995.